This is truly a remarkable story. In fact it is several remarkable stories resulting from the author’s career in the British Royal Navy from pre-WW2 1939 to the end of WW2 in 1945. It is remarkable and fascinating. So fascinating that I read all 288-pages of the hardcover version inside two days. I simply could not put it down! The author’s easy writing style certainly assists as the story gallops along from one life-threatening incident to another, and some of them were not related to ships or the sea. I seriously wonder whether the world will ever see another generation of young men like Geoffrey Brooke. They did their duty, faced hardships and diced with death constantly and in the case of this man, not without some humor. A further feature of this man’s character was a seeming lack of bitterness or resentment fueled by his WW2 experiences. That, despite losing some very good friends and comrades who were not as fortunate as him. 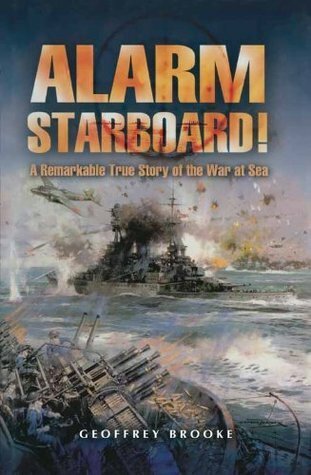 My own fascination with the story was also personal as the author tells in graphic detail of the sinking of the Prince of Wales in 1941 by the Japanese. My paternal grandfather was also a survivor of that disaster. A tragedy that at the time shook Britain to its core and one that warranted Winston Churchill being disturbed in his sleep to be told of the news. I discovered this book while researching my next book about my grandfather who served in the Royal Navy from 1916 to 1945. It was recommended to me by a gentleman in the online WW2 Talk forum I need to thank him!